MLB Power Pros 2008 (実況パワフルメジャーリーグ3 Jikkyō Powerful Major League 3 in Japan) delivers a unique flair to America’s favorite pastime with an original visual style, pick-up-and-play gameplay mechanics and several deep gameplay modes. 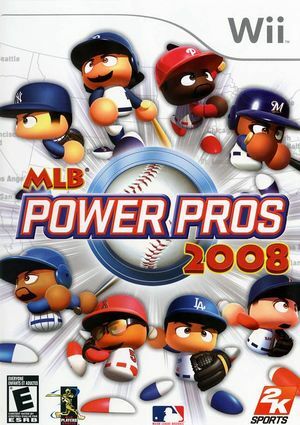 MLB Power Pros 2008 is capable of using both GameCube controllers and Wii Remotes. If a physical controller is set to emulate both a GameCube Controller and a Wii Remote concurrently, it will operate both devices at the same time. To fix, migrate controls to use separate physical controllers. The graph below charts the compatibility with MLB Power Pros 2008 since Dolphin's 2.0 release, listing revisions only where a compatibility change occurred.